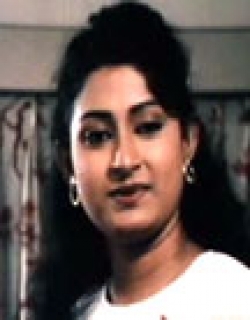 Aamar Tumi is a 1989 Indian Bengali drama,family,romance film released on 1989. 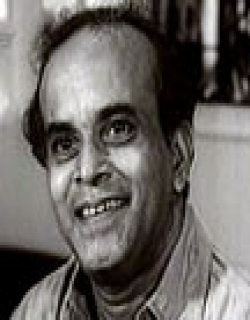 The film is directed by Bimal Ray (Jr.), produced by Dipti Pal. Famous indutrialist Indranil Ray's Only daughter Jhilik drives rashly and gets into trouble. A young biker saves her and introduces himself as Subhra, a commercial artist of "Dipankar Advertising Agency".They fall in love with each other. But Mr. Ray and his wife are not ready to accept the relationship.They have already selected Bijon, Mr. Dutta's son who has just returned from U.S.A. as Jhilik's groom. Jhilik dislikes her parents' snobbery and gives up everything for Subhra. 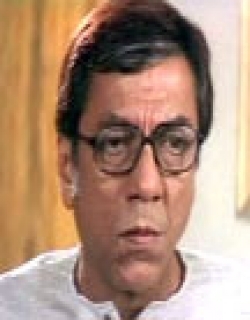 Mr.Ray calls Subhra and offers him a big sum of money. Subhra is mature enough to refuse the money. Bijon returns from U.S.A.and Mr.Ray arranges his daughter's marriage. Jhilik is confined in her own room. At midnight Jhilik elopes with her fiance to his lower-middle class home. She promises that she will never leave him. They decide to marry. Subhra's aunt (Chhotoma) and her daughter Sumita arrange their marriage. Meanwhile, Indranil calls the police to rescue his daughter. After the marriage in "Kalighat"(temple of goddess Kali), they decide to seek the blessings of Mr. and Mrs. Ray. 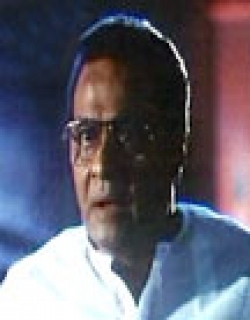 Indranil calls the police and get them to arrest Subhra. Jhilik firm and determined, saves her husband and leaves her parents for a lifetime. Bijon, the groom selected by Jhilik's parents leaves the wedding ceremony immediately . But, Indranil is not ready to rest. He continues his attempts to bring his daughter back home. 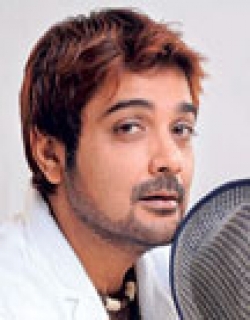 He buys off Subhro's boss Dipankar, the owner of an ad-agency. Dipankar takes money(in lakhs) and makes Subhro one of the directors of his office . A new chamber, high remuneration and other perks, a flat - everything is ready for the young man. Subhro comes to know about this and naturally reacts to the situation. He leaves everything, resigns from his job and requests Jhilik to go back to her father's home. A pregnant Jhilik obeys. Sumita takes a job in Shiliguri and takes Chhoto Maa there. Bijon enters into Jhilik's life again, but Jhilik despises him. Subhro,an orphan since childhood, takes a job in Mr.Nitish Roy's agency in Nainital. He had met him earlier, during his honeymoon. Indranil comes to know that his daughter is going to give birth to Subhro's child. He arranges for an abortion. Jhilik is taken to Nainital . Subhro gets the information from his friend, Brojo. They save the new born baby and he is brought up by Subhro's. Indranil lies to his daughter that the baby has died at birth. Jhilik separated from husband and son, goes into a severe depression. She is taken to Nainital for mental treatment. Finally the Nainital landscape and an old song bring her memory back. She recognizes her son and meets her husband again. The defeated Indranil appologises to them and peace is restored. Check out this page for more updates on Aamar Tumi. This page provides latest and updated information about Aamar Tumi (1989) movie which released on 1989. Aamar Tumi (1989) is directed by , produced by , starring .We have also provided 0 trailers and videos, 0 photos, 0 user reviews, and 0 critic reviews.You can review, like, dislike this movie and also can add to favorites. You can also find information on showtimes, CDs, DVDs, online rental, online free watching.